It took a lot of time for HMD Global to release its Nokia 5.1 in the UK after announcing it back in May but better late than never, right? The device is already available in some European countries, including Germany so now it's UK's turn to taste the mid-ranger. The handset is expected to go on sale on September 12 and reportedly, it's already available on some online stores but you still have to wait for the shipment date. 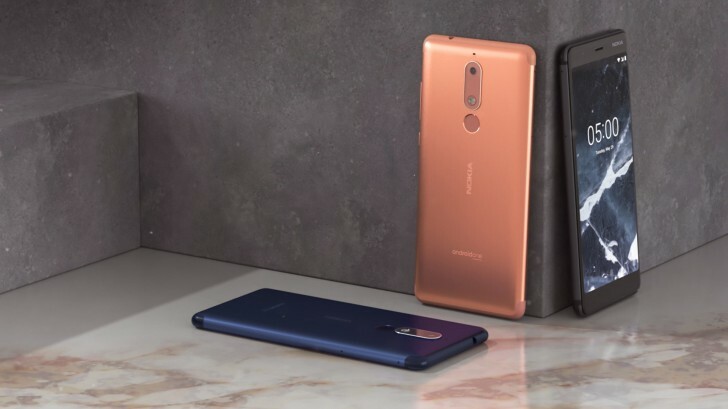 Moreover, the Nokia 5.1 will come only in black and blue so the cool copper-colored variant won't make it to UK shores, unfortunately. Hmmm that may be too late... but the advise is sound! I will buy a dozen... Bring it to Saufi Arabia HMD!! !